Overplay is one of the most improved VPNs of recent times and offers a simple, easy-to-use VPN and SmartDNS service that is great for novice VPN users and those who want to get connected fast. It is still not the finished article, but it does the basics well and while it may lack the bells and whistles of some of its rivals, Overplay remains a VPN provider to be reckoned with. Nicely designed apps for mobile and desktop devices. 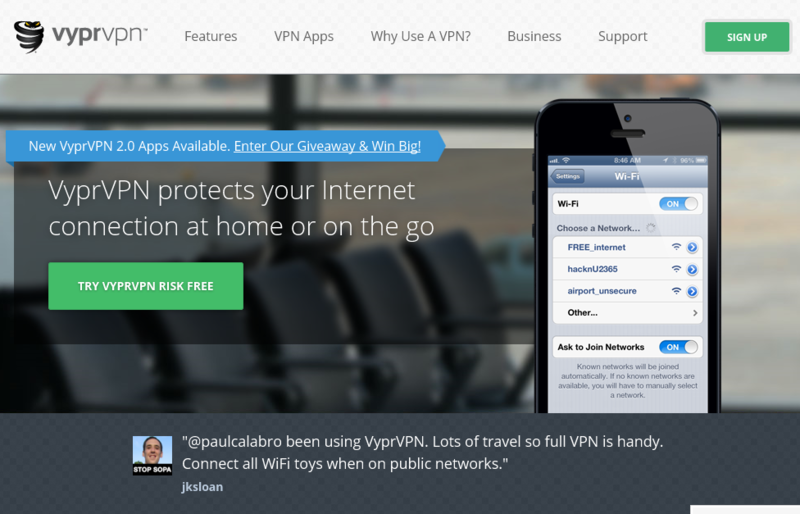 Overplay has been one of the VPN market’s big success stories in recent years. They have managed to progressively improve and develop their service and it has slowly evolved into a very impressive offering. They are a pretty innovative bunch over at Overplay VPN too and while adding new features to both their VPN and SmartDNS offerings, they have succeeded in keeping the user experience a simple and straightforward one. When we reviewed them this time last year, we were pleasantly surprised with the improvements we found in their service. So, how do they look in the VPN market in 2018? Due to Overplay marketing both a SmartDNS and VPN service, their pricing structures are a little bit different than many of their competitors. Users can choose to either sign up for the SmartDNS service, or they bundle SmartDNS and VPN services together. As a result, the following package choices and prices are currently available. These prices are unchanged from last year, which means that the 3-month and 6-month subscription lengths which they used to have available have not returned. Their prices remain competitive although they are a little steeper than some of Overplay’s direct competitors. As is so often the case however, you can make a decent saving if you are willing to sign up for the longer period. Overplay does also offer a 5-day money-back guarantee, which means if you are not satisfied with their service for any reason, you can cancel your subscription at any point in the first five days and get every penny of your money back. Unfortunately, they do not offer as comprehensive a range of payment options as other VPNs at the moment and Bitcoin payment is still not an option, which means completely anonymous payments are not possible just yet. But you can use any major credit card and also PayPal. For the sake of clarity, the package that we were testing was the SmartDNS and VPN bundle. Overplay’s VPN service continues to offer users a choice of L2TP/IPSec and PPTP VPN protocols, but their default protocol remains OpenVPN. Users should note that while their SmartDNS service alone does enable you to stream restricted content, it does not offer any encryption so is less secure than their VPN service. The Overplay VPN terms of service clearly state that “Overplay, Inc. does not collect or log any traffic or use of its Virtual Private Network service.” This is their no user logs guarantee and it is pretty categorical. However, users should note that Overplay is headquartered in the US and although there are no direct data-retention requirements it is part of the Five-Eyes spying network which may be a consideration if you’re involved in politics or in a sensitive occupation. At the time of writing, Overplay offers more than 650 servers across 70 different locations and more than 50 countries around the world. The number of countries which have available servers has not grown since our last review, but they have continued to increase the number of servers they have on offer. Fifty different countries is a decent number, and they do have all the most popular markets catered for. They can also offer servers on all six different continents, although their network is undeniably weighted towards Europe and North America. The Overplay server network is by no means the largest that can found out there, but they do say that sometimes quality matters more than quantity. And all of their servers appear to be of the highest quality, which helps Overplay to deliver a fast and highly efficient service. As an Overplay subscriber, you will be able to have up to three different devices connected to your VPN simultaneously. This is a reasonable amount, but most of their competitors tend to offer five concurrent connections these days, so Overplay is lagging behind a little here at the moment. As we are using more and more connected devices, and the need to protect our online security and privacy grows ever greater, this is one area where quantity really does matter. Three simultaneous connections might be enough for a single person, but many VPNs try to cater to the whole family these days and this is definitely one area where Overplay could improve. Overplay’s biggest asset is arguably its simplicity. It is a great VPN for novice users to choose as it does the basics very well and doesn’t complicate things with excessive bells and whistles as some other VPN providers are prone to do. As such, it doesn’t offer many of the notable extra features that can be found with some of its rivals. The upside of this is that it is ridiculously easy to use. All you have to do is choose your location, the level of encryption you want to use, and then click Connect. That is as feature-heavy as this VPN gets though. For some users this will be fine, but others may miss the additional features available on other providers. Last year we praised Overplay for the introduction of mobile apps, which were long overdue. Since then, not a great deal has changed, but if we are honest, not much needed to. Both the iOS and Android keep up with the Overplay tradition of being stylishly designed and easy to use. Overplay offers dedicated apps for iOS and Android devices. Both are lightweight, well-designed and easy-to-use. It allows users to choose their encryption level and which country to connect to and that’s about it. Both apps use OpenVPN as their standard protocol and we liked the fact that there was no difference in the service available on the mobile and desktop apps. Some services have features available on one platform but not another which can be frustrating for users. With Overplay, you get a standard service across the board that is simple, uncomplicated, and effective. The Windows and Mac VPN apps are broadly the same as their mobile equivalents. Both are neat and simple in design, easy to navigate, and offer a great user experience. The only real difference between the mobile and desktop apps is that the desktop ones are slightly more customisable. In the Settings menu, which you can find in the top right of the app, there is a logs section and the option of starting the Overplay app on startup, auto connecting, enabling the kill switch, customising what the close button does and various other options. But apart from this, the Windows and Mac apps continue to offer what Overplay does best. That is, offer a simple and effective VPN and SmartDNS service. Connection speeds are one of the things that Overplay really can claim to be a market leader in. We have been using Overplay for several weeks on both a Windows PC and an iOS mobile device, and on both our connection speeds have been little short of remarkable. Whether we have been using the internet for run of the mill web browsing and emailing or undertaking more data-intensive tasks such as online streaming, both the connection speeds and reliability that Overplay were able to offer were second to none. As we noted above, while they have grown their server network of late, it’s real asset is in its quality and it is with their connection speeds that this can really be felt. No matter which server you choose to connect to, be it one close to home or on the other side of the world, their speeds held up and we could see little difference between the Overplay speeds and our regular ISPs connection speeds. This is a huge bonus for users as it makes tasks like online streaming and downloading, which can be problematic with some VPNs, a doddle with Overplay. And that is a big asset that is likely to both attract and retain customers. We put some of their servers to the test by downloading a 1Gb test file from a European server from the UK. Our regular internet speed with no VPN for downloading this file was 218.2 Mbps. Below is a random selection of speeds achieved on nearby servers. Do remember though the speeds you may receive will vary. This can depend on your location, your internet connection, the route your data takes, the encryption level you use and a whole host of other factors. The default VPN protocol used by Overplay is OpenVPN and this is offered as standard on all platforms. Users might notice that Overplay offers users the choice between AES-256, AES-128 and No Encryption. This is actually a neat feature because it allows you to prioritise either connection speed or privacy as you prefer, while also letting you opt for their unencrypted SmartDNS service if you so wish. Not many other VPN providers allow users this choice and it definitely a feature Overplay users seem to appreciate. The other VPN protocols which are available on Overplay are L2TP, which uses 256-bit encryption and PPTP, which using 128-bit encryption. As we have noted above, Overplay proudly offers a no users logs guarantee that you can trust. There are a few reservations about their US-location, but for now that is not a drawback and we would not suggest you consider it a reason not to use Overplay. Their other user policies are fairly standard ones with P2P use permitted, although it does state in the terms and conditions that this cannot be used for illegal purposes. We are not aware of any users being kicked off their service for such activity however. Otherwise, the only slightly unusual policy you might notice is their banning of chaining. This means that you are not permitted to connect to Overplay if you have already connected to another VPN already. 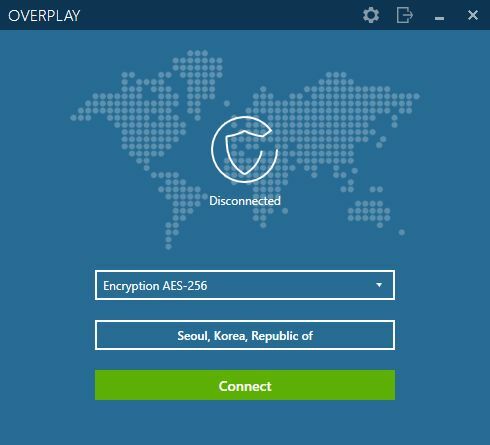 Overplay has a lot going for it and is rightly held up by many as one of the most improved VPN providers of recent times. But they are not yet the finished article and there are definitely still a few areas where improvements could be made. Their server network is not the biggest around, but it is one of the best and as a result Overplay offers one of the fastest VPN services around. This is combined with a strong level of encryption and some trustworthy privacy policies which means you can be sure your online data is being kept secure and private with Overplay. They now offer apps for all the main desktop and mobile platforms and these apps are nicely designed and easy to use. Their service does lack some of the additional features of their rivals, but it does do the basics well and for many VPN users, that is all you need. We did find their pricing to be a little on the high side and were not blown away by a customer support service which was adequate but nothing more than that. But overall, Overplay offers a VPN service that is better than most and while there is still room for improvement, we believe most customers will be happy with the service they receive. If you’re looking for an even better VPN service check out our IPVanish Review. LiquidVPN Review 2015: Is it really a fluid experience?